Last night, my nephew Oliver hauled a box of my old action figures out of my closet. He calls them “heroes,” as in, “John, can we play with your heroes?” That got me thinking a lot about how large a role the heroes of movies and books and comics have played in my life, and I love seeing that same spark in Ollie’s eyes as he learns about Batman and Spider-Man and Iron Man. As great and as worthy a classic as Arnold Schwarzenegger’s original Conan the Barbarian is, I’ve always loved Destroyer even more. It’s probably the best that Arnold ever looked on film, and the movie itself is just wall-to-wall magic and action. And even though Arnold’s two movies shared little in common with original author Robert E. Howard’s stories beyond a huge hero with a sword named Conan, Arnold perfectly embodied the spirit of the character and redefined him for every generation that followed. … and quickly realized that he actually looks more like the original Conan of Howard’s stories than Arnold did. A few photos can be found on the official Facebook page, and now even more photos have surfaced on Bleeding Cool and /Film that make this movie look even better. 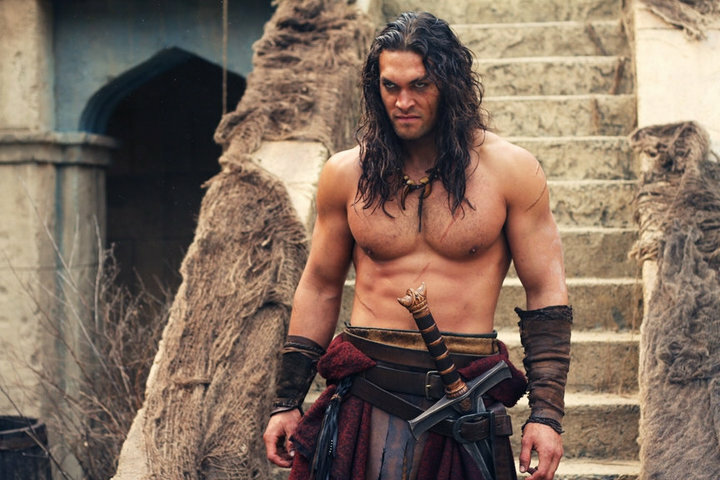 I love the atmosphere and the set designs, and again, Momoa looks striking as Conan. No one will ever be Arnold, but they’re not trying to do what Arnold did. This movie will stand on its own, and hopefully it will be strong enough to deserve some sequels. 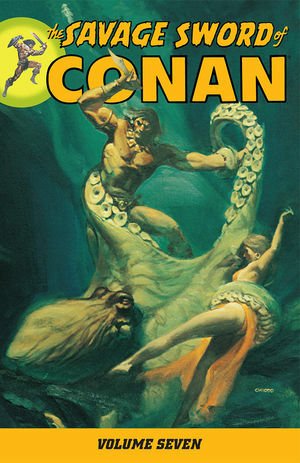 For tons more information about the rest of the cast and other awesome updates, check out this excellent Conan movie blog. No firm release date has been set, but Conan will take you back to the days of high adventure sometime in 2011! One of my favorite things about Arnold’s Conan was his fighting style. Even though Arnold was massive, and even though his sword was enormous, his stances and swings carried the brutal precision and deadly grace of classic Samurai swordplay. That’s probably because Arnold’s trainer and the sword choreographer for both of those films, Kiyoshi Yamasaki, is Japanese.